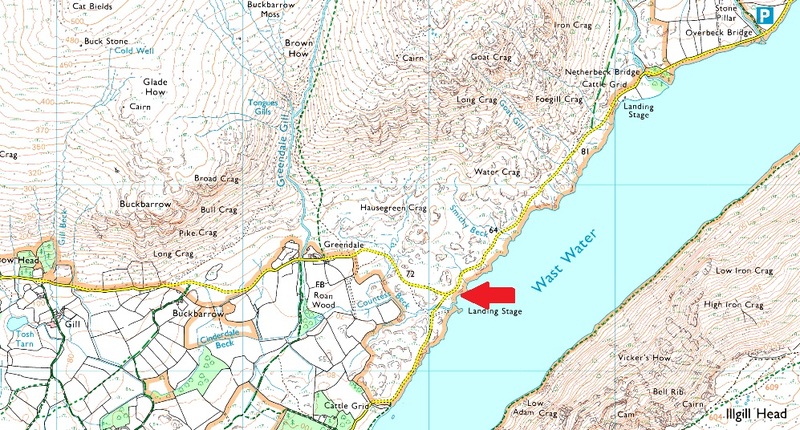 Notes: Wast Water and its surrounding fells is possibly one of the most popular walking places in the lake district and despite how remote the area feels parking here is quite good if you plan ahead. Here just after crossing Countless Bridge close to the junction with Greendale there is parking for up to half a dozen cars with more spaces a little further up towards Wasdale Head. The roadside parking offers great access to Middle Fell, Buckbarrow and beyond. Parking is free.